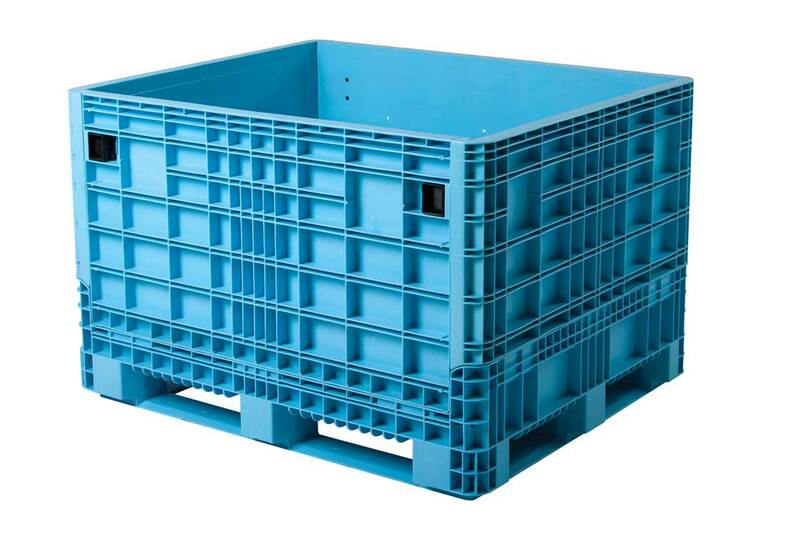 This 2 in 1 container and pallet unit, heavy duty construction with 4 way forklift access for efficiency handling. Folds flat when not in use, saving valuable space on return transport. 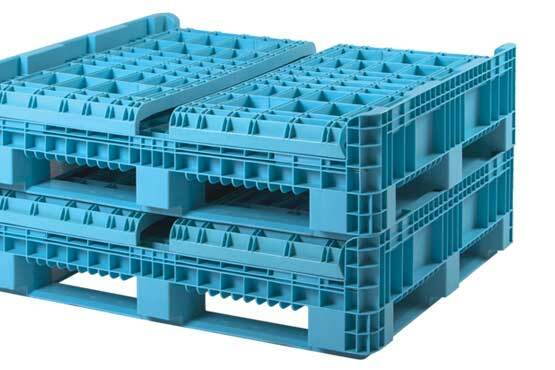 Containers can securely stack up to 5 units high. Commonly used in the automotive and retail distribution environments.